Shopping, entertainment, groceries or just a coffee break. 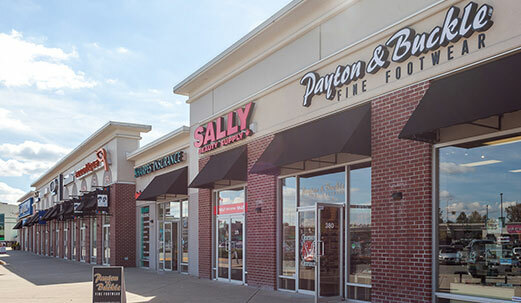 Whatever you need, you’ll find it at Meadowtown Centre. 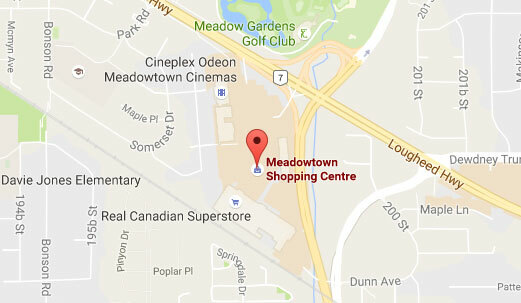 Meadowtown Centre is located along the Lougheed Highway, just west of the intersection of Dewdney Trunk Road and Lougheed Highway. Meadowtown Centre is the largest outdoor centre in the northeast region of the Metro Vancouver, currently occupying over 41 acres of land and totals over 420,000 SF of retail space. The developer reserves the right without notice to make modifications to floorplatns, landscaping design, project design, materials and specifications to maintain the high standard of this development. The developer may also make such further modifications as are permitted by the disclosure statement and the contract of purchase and sale between the purchaser and developer. Maps and renderings are artist interpretations only. This is not an offering for sale. E.&O.E. © 2016 Onni Group of Companies. All Rights Reserved.